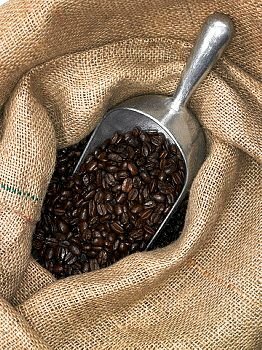 An article appearing in the September 2012 issue of Life Extension Magazine titled, “The National Institutes of Health Discovers Protective Effects of Coffee,” discusses a recent study by the NIH. The study, published in the New England Journal of Medicine, suggests that drinking coffee may add years to your life. The protective effects of coffee drinking were evident whether the subjects drank caffeinated or decaffeinated. Read the article and draw your own conclusions. There’s a toll free number provided at the end of the article, if you disagree with the scientific content. Keep in mind that many brands of decaffeinated coffee are processed using synthetic chemicals, such as ethyl acetate, or dichloromethane. If you prefer to avoid chemicals, buy brands that are processed by the Swiss Water method. More about decaf here. Posted on September 9, 2012, in Food, Health News and tagged Coffee, coffee and health, Decaffeination, National Institutes of Health, New England Journal, Swiss Water decaf. Bookmark the permalink. 2 Comments. I just want to mention I am new to blogging, and site-building, and certainly savored you’re website. Almost certainly I’m likely to bookmark your blog post. You certainly have outstanding posts. Cheers for sharing your web-site with us. I really appreciate this post. I have been looking everywhere for this! Thank goodness I found it on Bing. You have made my day! Thx again.